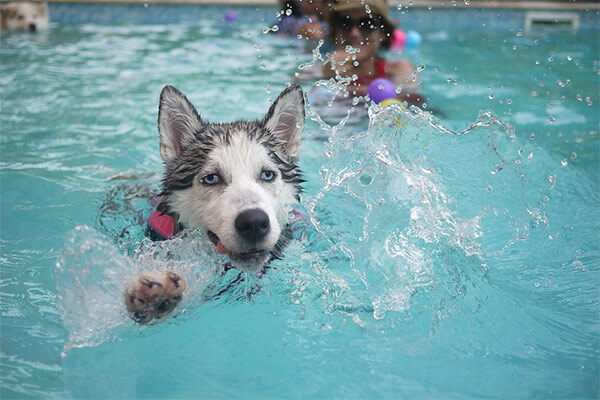 There is no better exercise for your dog’s health than swimming. But before you and your furry friend dive in this summer, there are certain precautions you should take to maximize health benefits and minimize hazards. First and foremost, ensure your dog is comfortable in the water and able to swim. You should not throw or force your dog into the water as this can result in panic and negative associations. If you are teaching your dog to swim, start out in shallow, calm water and wade out with him. Try short periods of water exposure with lots of positive reinforcement and slowly build up to longer swims. The younger you expose your dog to water, the more likely you will have a natural swimmer on your hands. If you are boating in deep or treacherous water with your canine, you should have your dog wear an appropriately sized life jacket. If swimming in lakes or streams with standing water, ensure your pet has had the leptospirosis vaccination. Leptospirosis is a bacteria residing in latent water. It is transmitted by wildlife and, if contracted, can travel through the bloodstream and cause vital organ dysfunction. Additionally, there are certain parasites which your water-loving dog should be protected against. First, ticks love wet, marshy areas around lakes and streams where tall lush grass is abundant. Large amounts of rainfall this year contributed to an environment in which ticks thrive. Along with ticks come tick-borne diseases such as Lyme disease. 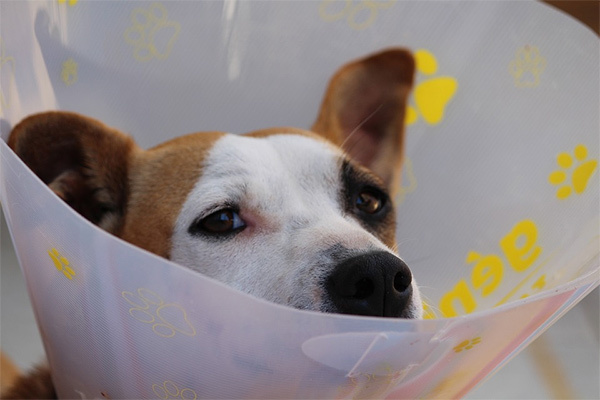 It is important to use effective prevention to ensure your dog isn’t susceptible to this and other diseases. Mosquitoes are an equally important parasite thriving in moist, wet environments. The most important canine disease transmitted by mosquitoes is heartworm. If a mosquito carrying heartworm disease infects your dog, heartworm larvae can migrate through the bloodstream to the lungs and heart with life-threatening consequences. Luckily there are effective oral preventatives available. Ideal swim conditions for your pup include clean moving water such as large lakes, rivers or the ocean. Avoid latent murky water, especially if there is an abundance of algae, as some algae can be devastatingly toxic. It’s important to assess the current, water flow or any potential hazardous obstacles in the water such as large rocks or branches. After swimming, it is important to thoroughly examine your dog’s coat and skin. Foxtails, for example, are dried plant awns that develop in the hot weather near water sources. They need to be removed from your dog’s coat to avoid embedding into the skin and deeper tissues. Some dogs who enjoy frequent swimming require more medicated bathing or ear treatments. If swimming is a regular activity for your dog, discuss bathing and other potential maintenance needs with your veterinarian to determine what’s appropriate.